Several media choices are offered. They are made individually on order and are shipped to your address by the workshop. 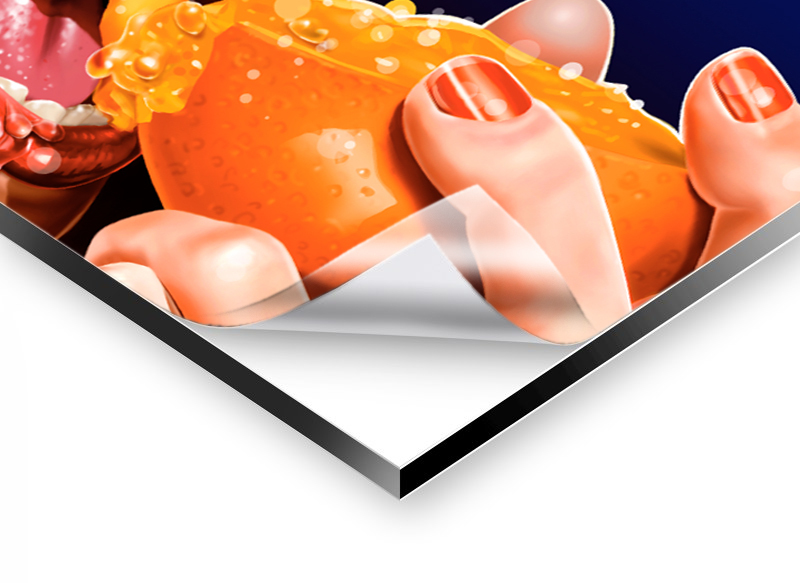 This Plexiglas Premium version is used by professional photographers and galleries. It uses the latest Fineart 12 color printing technologyon premium photo paper. Every detail and color tone of the picture is thus reproduced to perfection. 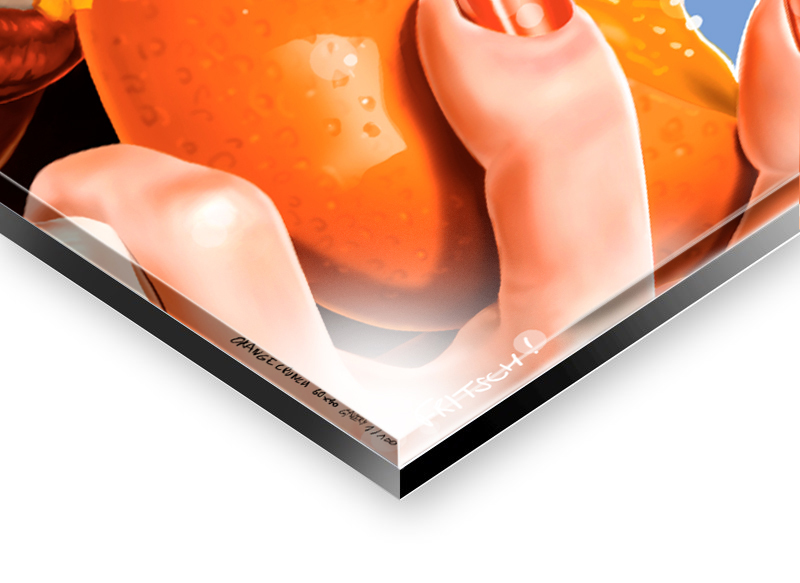 The printed image is stuck behind a 4 mm thick acryl-glas panel . This combination ensures high fidelity color depth and incredible depth. Each image on Plexiglas Fine Art comes with a premium aluminum mounting, the model favored by art galleries or exhibitions. The metal rails mounted at the rear ensure high stability. Combined with an invisible assembly, premium aluminum attachment gives the impression that your photo is weightless. The quality solution for a matte finish. Many shades, no glare, respect the original colors and reproduction. The pattern is initially printed on premium photo paper. With the best combination of the 12 colors mixture reached by the printer, the image reproduction is faithful to the original with strong colors and depth. The image is first laminated on Alu-Dibond, then sealed with a matt lamination that protects against external influences and reflections. Each image on Alu Dibond Fine Art mat comes with a premium aluminum mounting, the model favored by art galleries or exhibitions. The metal rails mounted at the rear ensure high stability. 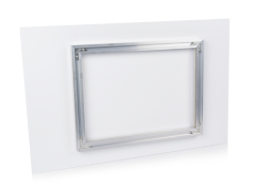 Combined with an invisible assembly, premium aluminum attachment gives the impression that your picture is weightless. Perfect association between Plexi and Alu-Dibond, Gallery-Bond is composed of three materials. • The image, printed on photo paper HP Premium 250g. • An aluminum plate 3 mm thickness, on which the image is pasted. • A Plexiglas plate of 2 mm, which strengthens the assembly. Elegance, modernity, high fidelity! 12 colors fine art technology for arich colorful result! Each picture on Bond Gallery comes with a mounting high-quality aluminum, the model favored by art galleries or exhibitions. The metal rails mounted at the rear ensure high stability. Combined with an invisible assembly, premium aluminum attachment gives the impression that your photo is weightless. The original art Hahnemühle paper proposes a fine touch, matte and smooth surface. This is a high quality paper product directly from Hahnemühle is a company engaged in the making for the artists paper hand. This acid-free paper is the perfect base for any artistic project and thus for a Fineart print digital files. It is fascinating for its highly realistic color reproduction. With the printing process Fineart 12 colors (against 4 in the industry standard), every detail will be reproduced to perfection, without any reflection. The entire color palette will be so faithfully reproduced on this quality paper. Protect your paper printed with a discreet and elegant aluminum frame. Each frame comes with an acrylic glass panel, called Plexiglas museum. 3 colors: matt aluminum natural, white, black.